Short or Long Game Play: What’s your gamer type? I read two different articles on Modern Warfare 2 on the web where both the authors had a different take on the game play related to Multiplayer, SpecOps and the single player campaign of COD:MW2. 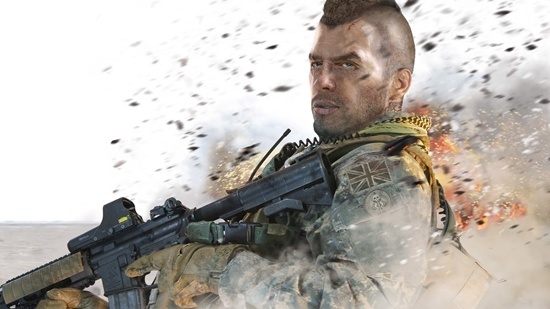 The author who quoted that he was already bored playing MW2, felt that SpecOps and Multiplayer were not so great value add to the game, they did bring some variety in comparison to the previous version of MW2, however overall were not praiseworthy. The other author felt with the kind of pricing and hype generated by COD: MW2 the single player campaign should have being at least more than 7 hours. This prompted me to share my view on recent games I have played and of course my take on MW2. I was never a COD series fan, before I played COD: World at War which had a fairly good length of single player campaign. I then decided to buy COD: Modern Warfare and I played the multiplayer first on XBL and also kept playing the single player campaign in parallel knowing that it was short on length. I played it in bits and parts and one fine weekend I completed the left over game of 2-3 hours in one sitting, however when I compare the multiplayer experience in MW2 to MW1, it is way better and offers more perks and weapon unlocks, okay so on the single player missions for MW2 I am doing the same i did playing MW1, going slow and about the SpecOps I am okay with this mode being included, because if I just want to pin down NPC’s without playing online or Co-op it’s good for me, Co-op is more fun. Gamers can get irritated with the length of the game script which could sway in both ways either being too short, and it’s actually not having a long game play length but the overall game play that gets repetitive which makes the gamers feel it’s too long and boring. While playing Wolverine X- Men origins I noticed that even that game could have being much short on game play length if Africa Missions were not filled in to the game script which was similar to movie story. 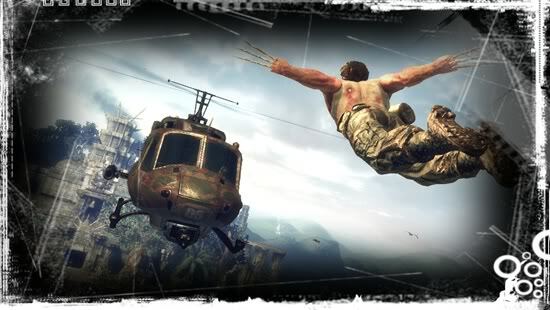 After playing the initial missions in the game as you enjoy ripping apart baddies with your blades, jumping on helicopters, lunging, executing charged blade attacks, you start feeling bored of the same action, the only difference being the wave of NPC enemies keeps increasing just to get you into intense button mashing mode. I completed Prototype after a long time I purchased this game. I just lost interest in the game during the levels where Alex Mercer keeps coming with new missions to and from from Dana’s safe house. I forcibly completed the game, without playing side-quests which got activated during different levels, while i looked at the achievement guide for this game on the web. It further pissed me off, the count of killing infected population to unlock one achievement was ridiculous, well i don’t have that kind of time ripping apart infected zombies. I have got GTA IV from last year when it launched. I have still not completed it, just because in spite of this game garnering rave reviews. I got bored riding in cars and bikes, doing tasks for in game characters just to tread along a storyline, meeting up girls may sound exciting and the following invites to their place for a coffee which ends up in a vibrating controller, may make you happy for some time, but while you play the game, you sometimes end up running away from the police, getting involved in wild car or bike chase which becomes tiring after some time, which diverts you from the main gameplay just increases game play time for the sake of it. I found similar problem with Prototype where in spite of using stealth and disguise on some levels you just cannot complete it fast, because you are going to get detected under your disguise and alert the army, and then get into a chase to evade the strike ops team. 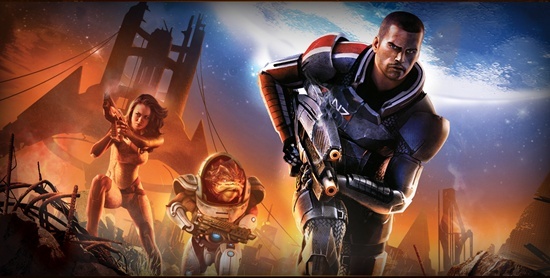 Mass Effect and Fallout 3 also fall in this genre of more talking, interacting, shaping the story of the game based on your choices. Well i am not interested doing that, I prefer following a storyline high on action, even if it’s dumb and does not offer any interactivity. I surrendered to the hype of Assassins creed series watching AC2 trailers and got AC1 game, only to realize it was the same stuff of going on pre-assigned missions, hiding, stealth, playing the detective, getting in and out from animus, Ii don’t say it’s a bad game but there’s a lot to do before you actually get into some action. On the other hand I loved playing both Gears of Wars installments, John Woo’s Stranglehold, Halo 3 (to some extent, I am not a Spartan Cheif Fan), Batman Arkham Asylum, Army of Two, I have got W.E.T game now, which I read has not got so many positive reviews, well it does not matter to me, I love that kind of action, so I prefer it short and sweet with loads of action. So tell me what’s your gamer type?